This service is a blend of traditional Anglican and modern Episcopalian. There are choral anthems and solos in a range of styles, exceptional organ music, a healing laying-on of hands at the side altar and a very friendly passing of the peace. 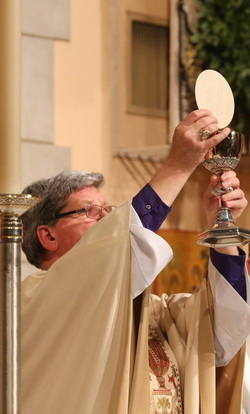 Our Healing Eucharist is held each Wednesday at 12:10 pm in All Saints' Chapel. Please visit our "Latest Cathedral News" page for updates on holiday and special service schedules.